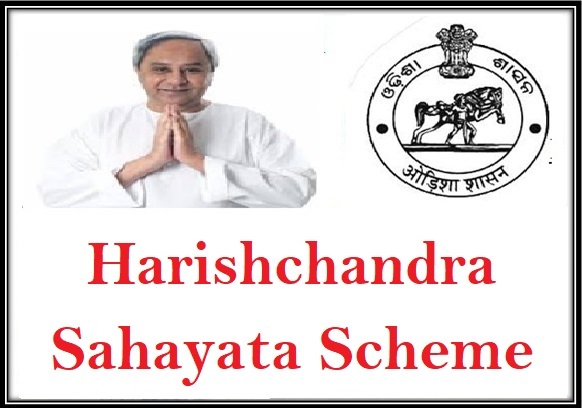 The state government of Odisha has announced to launch the new web portal services for HSY (Harishchandra Sahayata Yojana). As per the state government, under this scheme, financial assistance will be offered to the beneficiaries so they can perform the last rites for cremating their relatives and family members. The assistance will be offered by the state government via CMRF (Chief Minister Relief Fund). For effective implementation of the benefit for the poor people state wide, the government has accounted to launch the web portal service. The services in the initial stage will be provided by the government in 16 districts statewide. To use the services the candidates can access the official web portal at www.cmrfodisha.gov.in. The main key features of the new scheme is that it will offer with benefit to the poor and needy people of the state so they can with due respect perform last rituals of their loved ones. As per the government statements, an amount of Rs 2000 will be offered to the people belonging from the Rural places while an assured sum of Rs 3000 will be offered to the people belonging to the Urban places. The assistance will be disbursed to the beneficiaries via online software developed for HSY assistance once the online application has been made. Under the initiative the government has also announced of providing with facility to carry the dead body for cremation via Mahaprayan initiative. The services of free transportation can be availed by poor people to reach the burial place or cremation ground by the family members. The facility has been offered by the government from Hospitals, Medical colleges or district hospitals till the cremation place via Hearse Vehicle offered by CMRF resources. Any candidate who wishes to make use of the above mentioned facility will first have to get registered with the official website at cmrfodisha.gov.in. On the main page of the site you will have to make the selection of the “Apply online” option. The option is available under the CMRF section on the web page. You can also directly visit the web page at http://cmrfodisha.gov.in/cmrf_app/citizen/basicdetail.php. A simple online form will appear where you will have to fill in all details related to your personal information. Once all details have been entered you will have to provide with scan copy of your income proof certificate, Parents ID proof, Aadhar Card details and others. Once done you just have to select “Submit” option. To get the financial assistance you will have to use the log in credentials created and then make your claim. You can directly visit the log in page at http://cmrfodisha.gov.in/cmrf_app/office/index.php. Under this initiative the state government has announced to provide with Rs 14 crore as financial assistance that will be given away from CMRF. Rs 4 crore assistance will be provided by Collectors of the district while Rs 10 crore funds will be made available by the CMRF fund account. Till date for past two years the government has already provided with Rs 32 crore assistance to each beneficiary. Total number of 1.68 lakh beneficiaries have till date been provided with financial assistance. The state government has also arranged for 39 Hearse vehicles within 29 major districts. Apart from this, 3 vehicles have also been arranged in six medical colleges state wide. By the above mentioned initiative the state government of Odisha has ensured that poor and needy people in the state will be able to request for financial assistance so they can perform last rituals for their family members with respect and on time with any financial hassle.